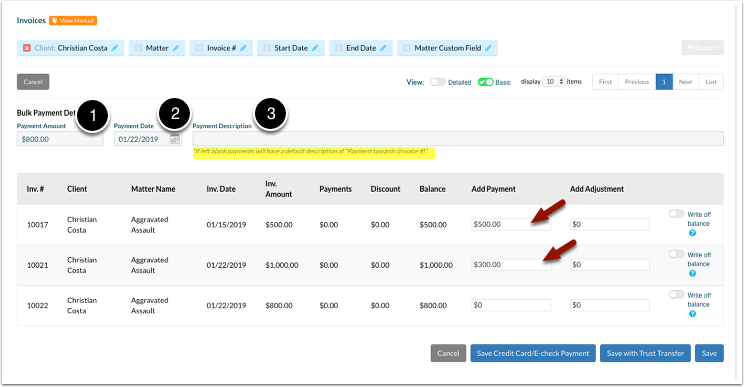 Rocket Matter Knowledge Base Invoices: Bulk Payments and Adjustments -NEW!How to apply payments to invoices in bulk with a credit card. 5. Once your payments have been allocated to your invoices correctly, select 'Save Credit Card/E-check Payment' on bottom right of the screen to record the payment. Note: When paying with credit card or e-check, the payment amount can't exceed the invoice payments. 6. Enter the client's payment information. 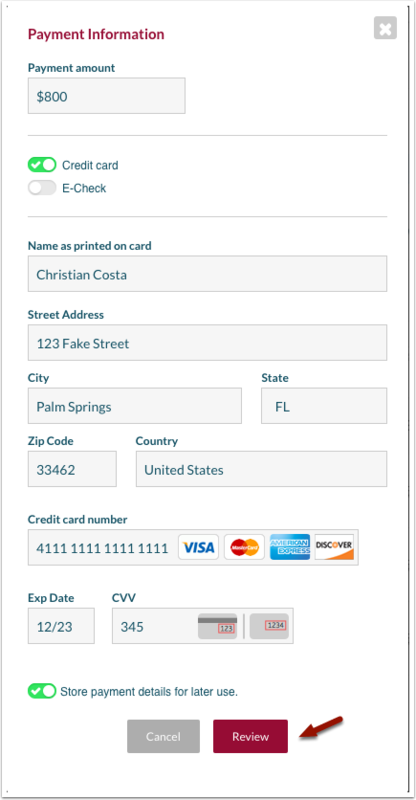 *If you desire, toggle 'Store payment details for later use' so that your client's credit card information will be stored in Rocket Matter. 7. Review payment details, confirm and click 'Pay'. The payment will then begin processing. To take a look at your payments, retainers and their statuses check out the 'Rocket Matter Payments' report. Click here to learn how! Prev: How to transfer trust funds in bulk for invoices. 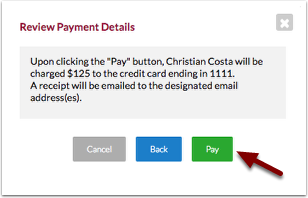 Next: How to apply payments to invoices in bulk with e-check.